The Spring Rafting Season in Zoar Valley opens mid-March with the spring runoff and lasts until May as the water level becomes too low. The best white water action can normally be had from right now through April, depending of course on the amount of rainfall. In May, as the water level begins to recede, more scenic, warmer and serene trips are found on usually using inflatable duckies (good for 1-2 people). 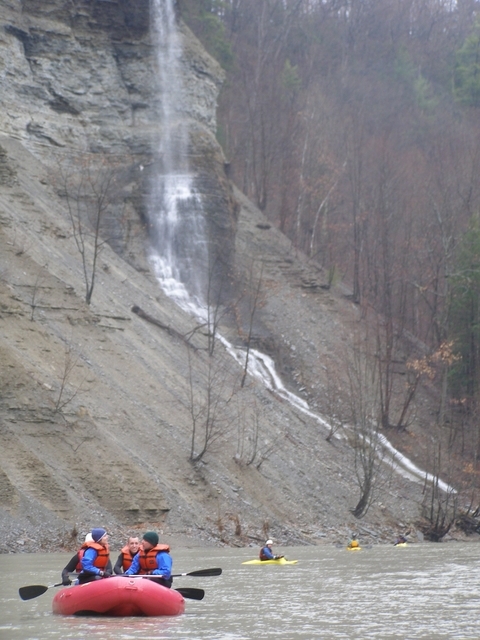 Zoar Valley Canoe & Rafting: Call 716-410-2824 or e-mail. You can also check out their websites www.ZoarValleyRafting.com, which has general info, type of trips, costs, gear rental, parking and more! Or check them out on Facebook!